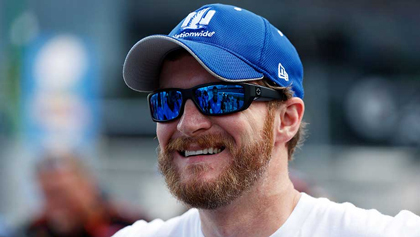 NASCAR Race Mom: Meet #NASCAR Sprint Car Chase Driver Dale Earnhardt Jr.
Outlook: Junior enters this Chase in possibly the best shape of his career. He's on pace for more top fives than he's had since 2004 and is clicking with crew chief Greg Ives. Chase history: Seven previous appearances, best finish of fifth multiple times ('04, '06 and '13). Best Chase track: Talladega. Six wins and a feel for the superspeedway make this the best spot for the No. 88. Worst Chase track: Homestead. His best finish there, third, was in 2013. His average finish in the season finale is 20.3.